Sexuality and Its Disorders explores sexuality from an evolutionary perspective using powerful, real-life case studies to help readers provide effective guidance around issues relating to sexuality. 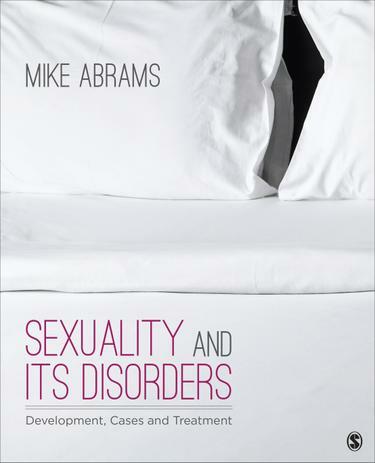 Drawing on his 30 years of clinical experience and research, author Mike Abrams provides a comprehensive, evidence-based, and clinically-oriented text with cutting-edge coverage throughout. Discussions include the physical and psychological development of sexual identity; the social aspects of sexual behavior; the many expressions of sexuality; cognitive behavior treatment of sexual problems; and more. The many perspectives of sexuality are examined with interviews and commentaries from major figures in the field—including David M. Buss, Helen Fisher, C. Sue Carter of Kinsey, Todd K. Shackelford, Ken Zucker, and Gordon Gallup—who discuss such topics as the origins of sexuality, the nature of love, the role of attachment, and the treatment of sexual problems.